Hello and welcome to this week’s PJT - a thinner than usual edition as the industry enjoys the last of the summer breaks before resuming for the autumn. 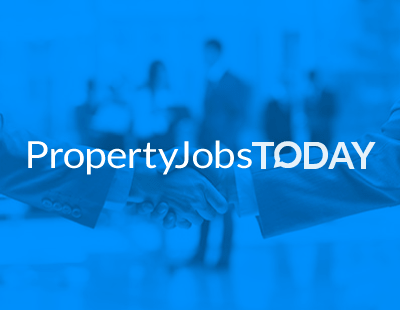 Remember, we’re here to tell the industry about your firm’s recruitment moves, so email us on press@estateagenttoday.co.uk and we’ll do the rest. Despite the time of year, though, there are moves afoot so let’s begin with Connells, which has boosted its senior management team with the appointment of Gwyn Gittins to the role of area director for Essex and Suffolk. Responsible for driving growth for the area, Gwyn brings with him significant experience in the industry and strong local knowledge having worked in the region for over 20 years. “I had come to a crossroads in my career, looking for a fresh challenge and so am thrilled to have joined a company I have long admired” he says. In Burnley the independent firm Petty Estate Agents has made an unusual appointment - a former member of staff who first joined as a junior aged 16. Gina Greenwood is a new senior negotiator in the firm’s Barnoldswick branch, having worked at various local agencies over some decades. “I love the property business and I’m passionate about our local area, there’s no better place to live and work ... Petty have always had this same ethos, so coming back to Petty after all these year’s feels like the perfect fit” she says. Now a name from the (recent) past - Peter Rollings, former managing director of Foxtons and ex-chief executive of Marsh & Parsons, and a current major investor in Viewber. He’s now finished a two year spell as brand ambassador for M&P but has joined recruitment firm Inventure Recruitment LLP - the firm for which his son Charles works - as an adviser. The company specialises in property, amongst other sectors. Meanwhile in Yorkshire, a familiar face in the residental development field has become the county’s managing director for Redrow. Paul Oldridge has joined Redrow from Gleeson Homes & Regeneration, where he spent two years as regional director for its operations in the North West. Originally a Chartered Builder and quantity surveyor by profession, since 1996 he has held managing director roles with several housebuilders in Yorkshire and other areas of northern England. Immediately prior to joining Gleeson he ran his own residential development consultancy.